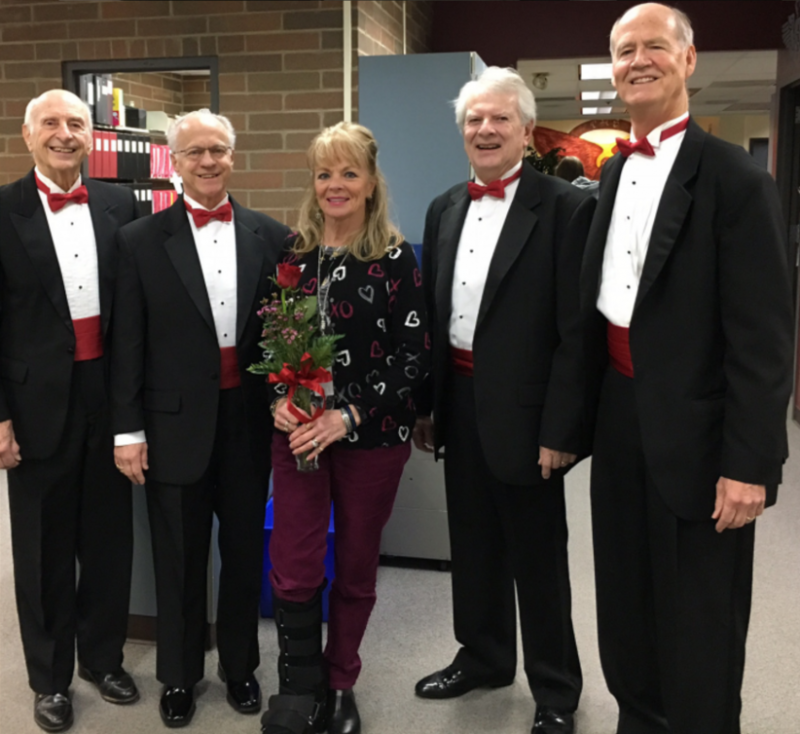 Bridge Town Sound provides barbershop quartets in the Portland area for singing Valentines, singing telegrams, birthdays and anniversaries, and other events. Our repertoire includes popular standards, inspirational, gospel, jazz, and more. A full chorus (20 singers) is also available for performances. My mother’s 80th Birthday Party would not have been the same without this group. They were accommodating with our last minute schedule change and kept the crowd entertained. Loved them and would recommend them to anyone who enjoys music. Thanks to Bridge Town Sound! Bridge Town Sound arrived on time and sang a good variety of holiday songs, inviting the audience to join in on a few. They looked and acted very professional, and connected well with our audience. Thanks! The quartet did a fantastic job celebrating our event. Thanks so much, Jeremy - glad we could add some extra enjoyment! Professional, friendly, responsive, and great singing. Could not have been more perfect. Our barbershop quartets provide entertaining performances, whether in the form of a 10-minute singing telegram or 20-30 minute performances. Performances are family friendly and feature a wide range of music to appeal to all audiences. Bridge Town Sound provides barbershop quartets for singing Valentines, singing telegrams, birthdays and anniversaries, and corporate events. The full ensemble (20 singes) is also available for performances. 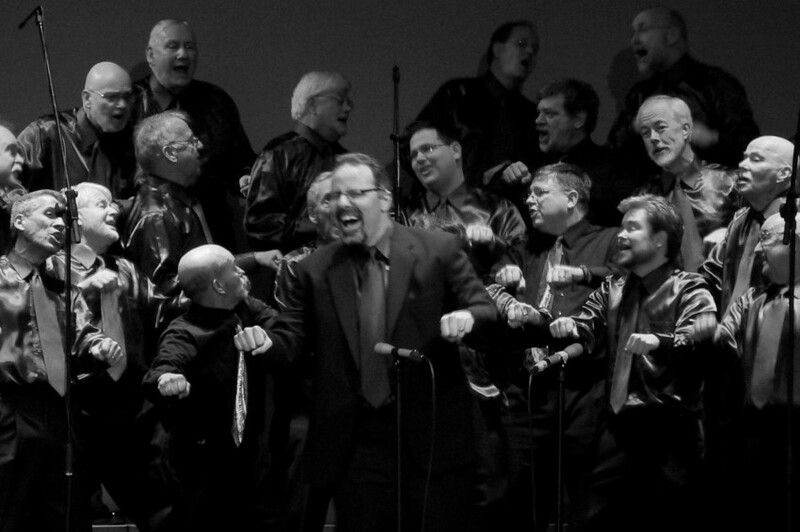 About Bridge Town Sound: We're a dynamic and innovative men’s singing fraternity dedicated to the pursuit of excellence in a cappella close harmony through performance, outreach, and education in the barbershop harmony style. As a cappella ensembles, our quartets do not require space for instruments and can be very flexible on lighting and audio needs. Amplification is helpful (and often necessary) for large venues.